This past weekend, with the “ponte” della Befana (Epiphany long weekend), the Italian Christmas Holidays were officially over. But before I move on I want to share one last holiday recipe. Last Friday, January 6, in an effort to pay homage to the festivity of the Epiphany and to the Befana, I came across a recipe of traditional Tuscan biscotti (cookies) called precisely Befanini. The Befanini are a Tuscan tradition, in particular in Versilia, which is the North-West area of the Tuscan coast. The tradition of the Befanini, the cookies of the Befana, is quite old; they are made with very simple ingredients because they were the holiday’s cookies of the time when there were not other means to celebrate. The preparation was sort of a ritual, and once ready, they were packed in colored bags which the children exchanged in the street. It is also said that they were donated to pregnant women because, the popular belief attributed to the biscotti the ability to ensure abundant milk. 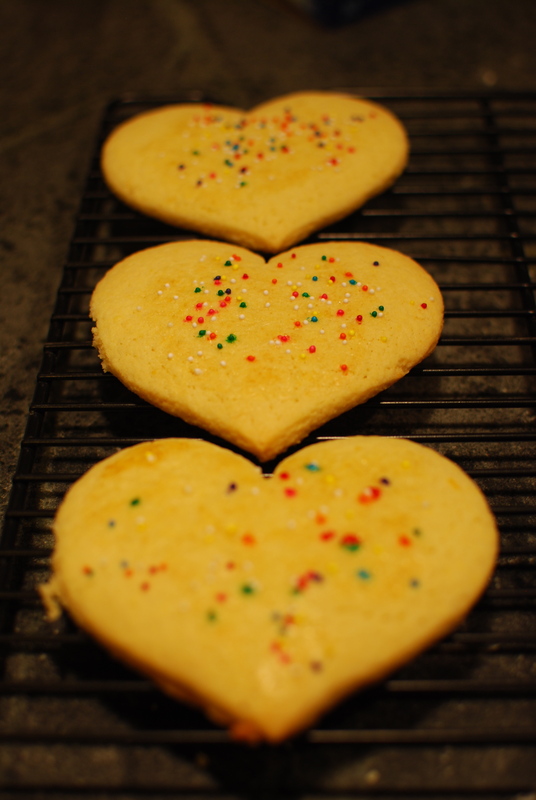 Being my first time baking these cookies, I have to say that screening the different versions of the recipe has been more difficult than the actual processes of making them. I am very picky when I look for a new recipe (to be honest, I am just picky in general!). I always like to start from the most traditional and authentic recipe and then add my little touch to it. However, it is not always easy to find the original recipe, think of all the bloggers like myself that like to add their own little touches! According to the Italian magazine “L’Espresso” , the original recipe included only 5 ingredients (flour, sugar, butter, eggs, and lemon zest) plus the baking powder. 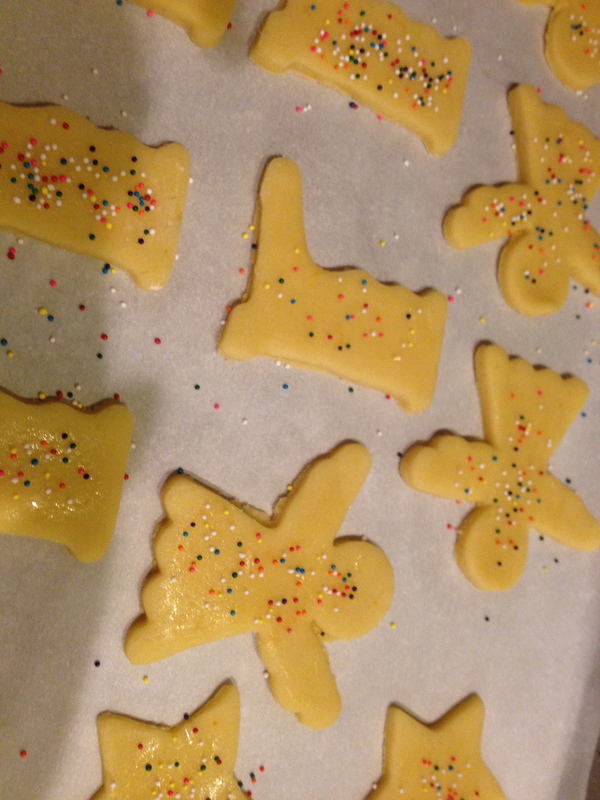 Despite the fact that the Befanini are still made in a traditional way, the recipe has evolved through the years, and it appears that all the more contemporary versions share the use of liquor and colored sprinkles, while some also add anise seeds. 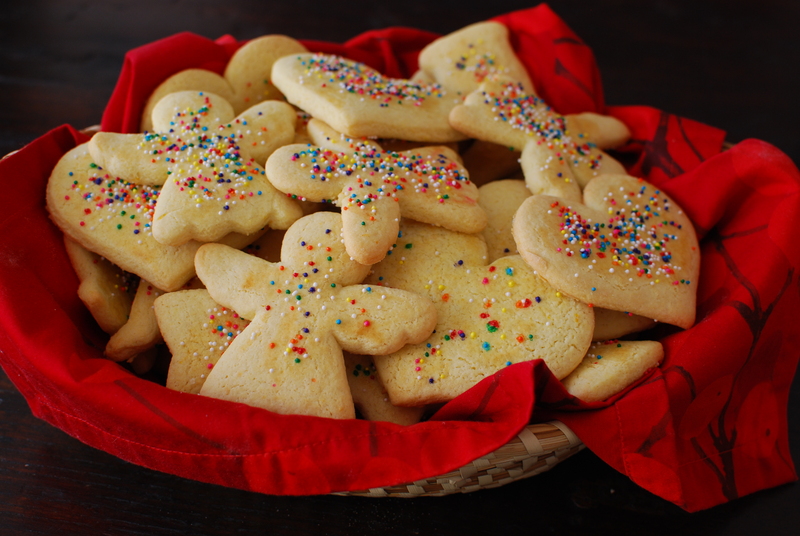 In My recipe I have opted to use the Italian Sambuca liqueur (different versions use Rum or Vinsanto), I have added orange zest, and used the colored sprinkles because they make the biscotti much more festive. This past Saturday I hosted a party for the Italian-American of Frederick and everyone seemed to enjoy my Befanini, in fact, I gladly packed several little bags of cookies to go! 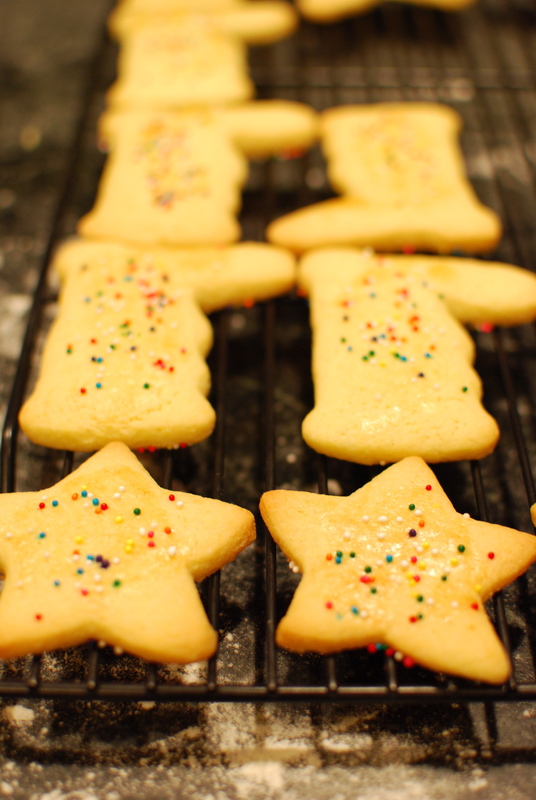 Although these biscotti (cookies) are typically made in occurrence of the Epiphany you can enjoy them year around. Try them and let me know. 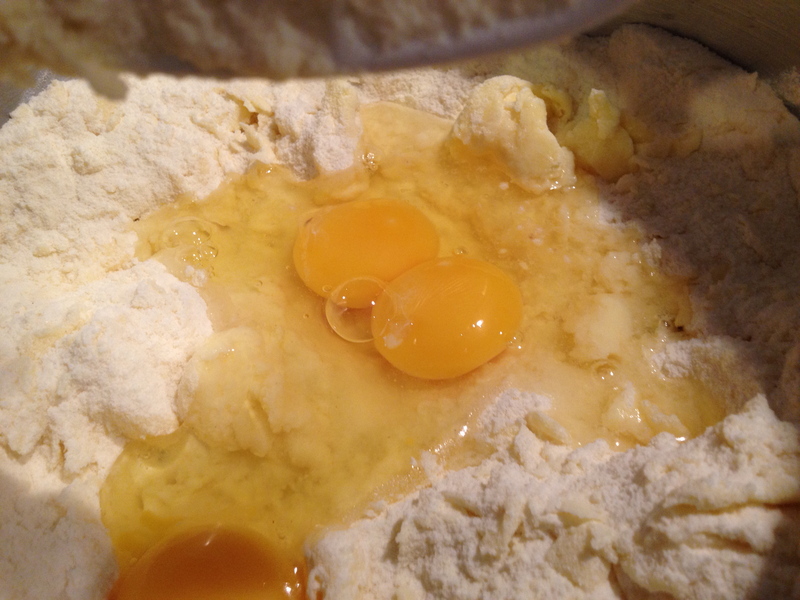 In the bowl of a standing mixer combine the flour and the sugar. 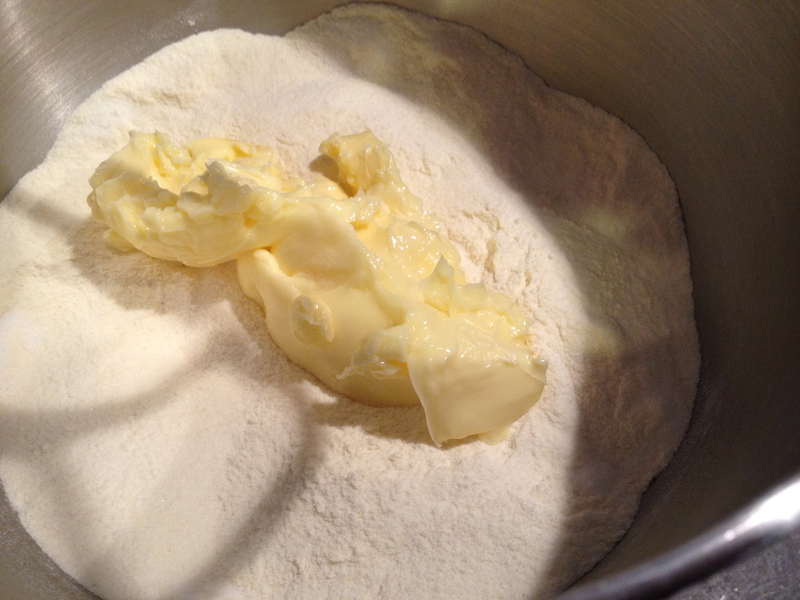 Then add the softened butter and process slowly. 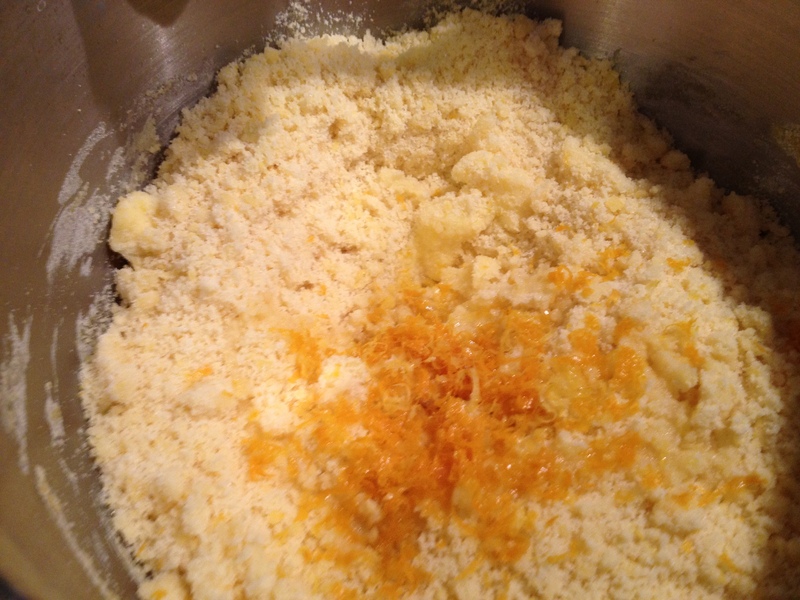 Add the eggs and continue processing. 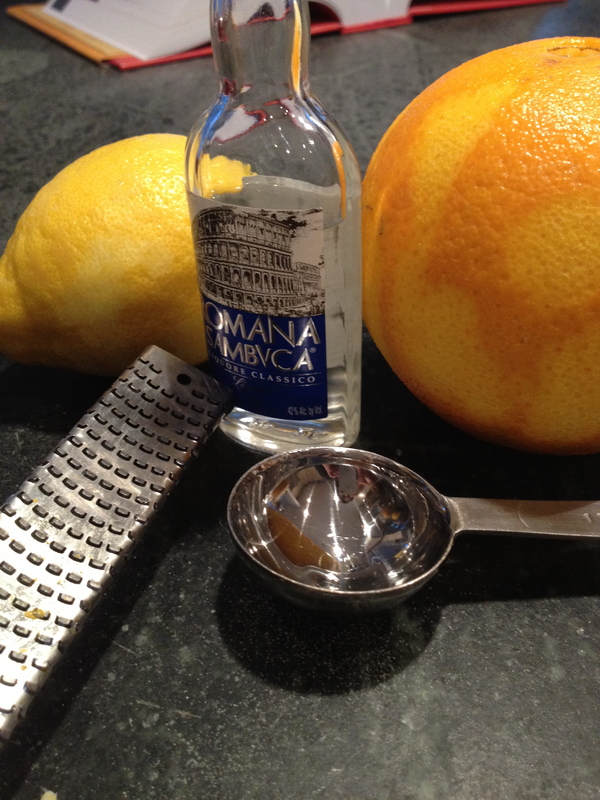 Now add the orange zest, the lemon zest, the baking powder, the salt and the liqueur. Work the dough for 10 minutes on medium speed adding the milk as necessary to make a smooth dough. 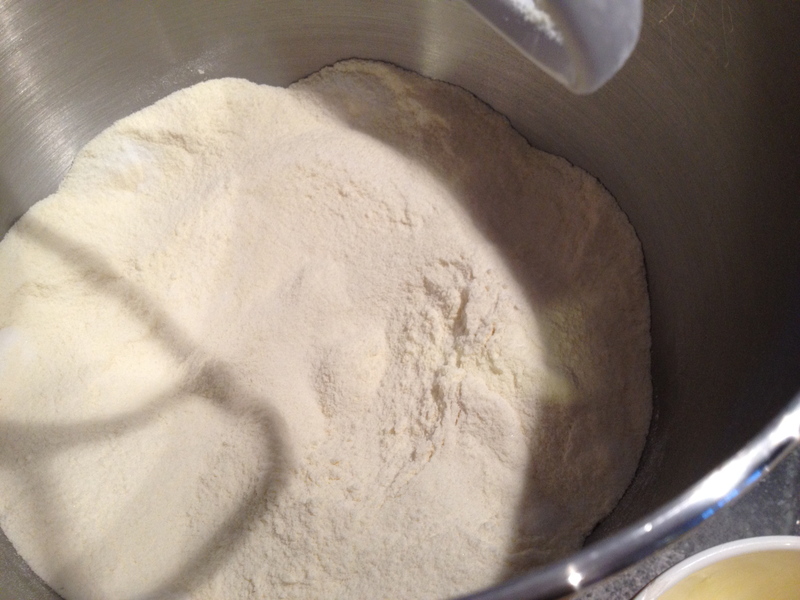 Process the dough until it detaches from the side of the food processor bowl. 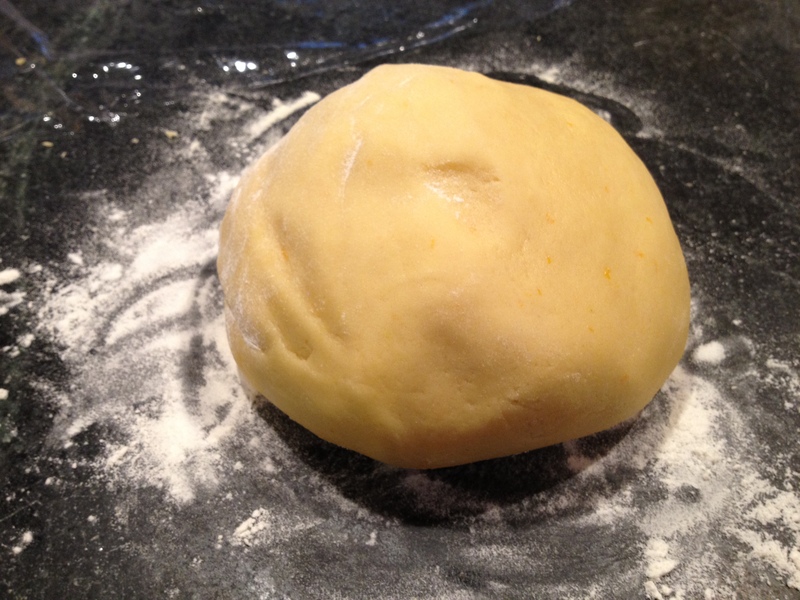 Transfer the dough on a floured pastry board and kned it fast to form a ball. Wrap the dough in wrapping film and let rest in the refrigerator for 30 minutes. 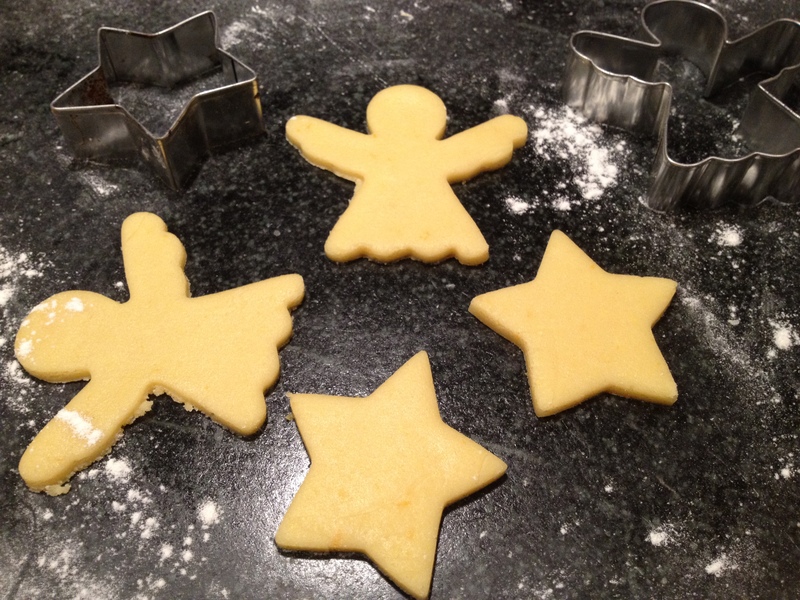 Add enough flour to the working surface and around your rolling pin and start rolling out the dough. Your sheet of dough should not be less than 1/4 inch tick. 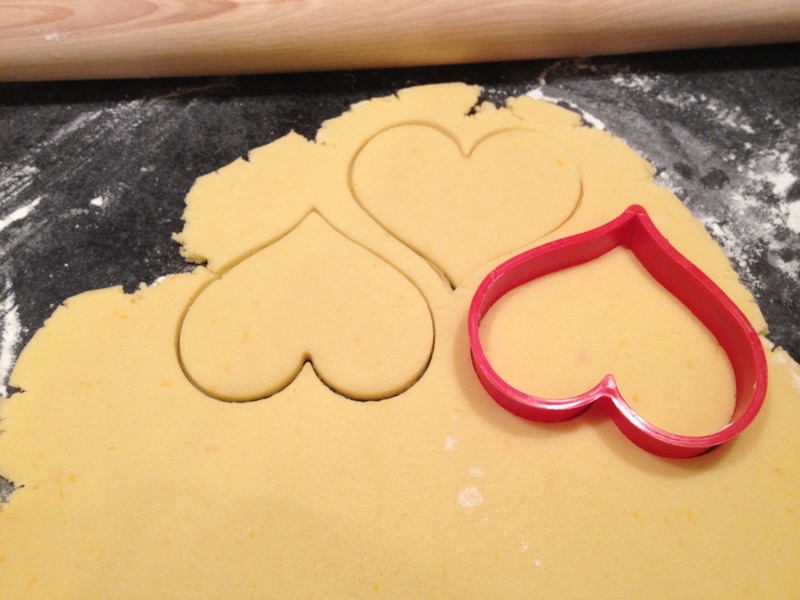 Use cookie cutters in different shapes to cut your cookies. 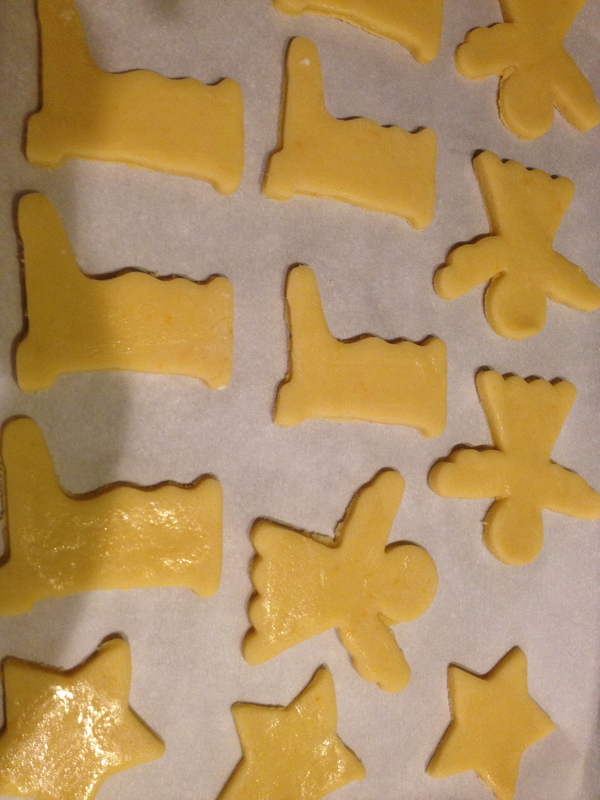 Place them on the cookie sheet lined with parchment paper. Make an egg wash with one egg and a little bit of milk. 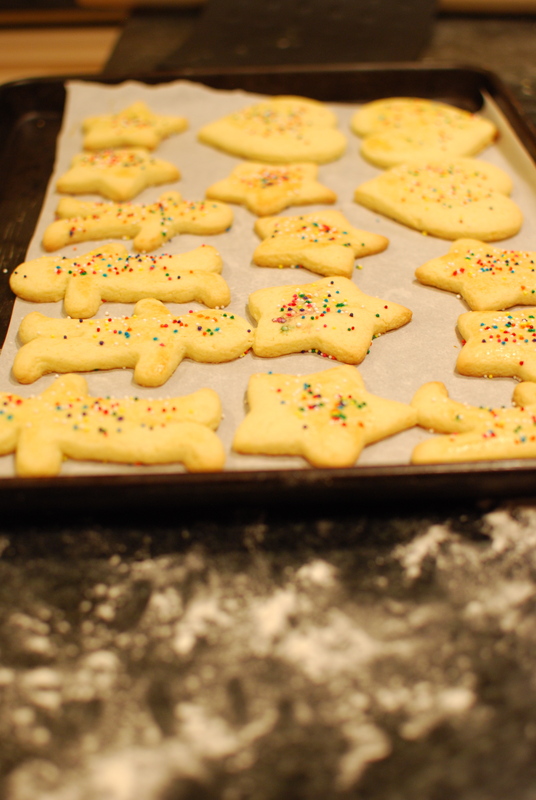 Brush the cookies with the egg wash and add sprinkles. Bake the biscotti for 12-14 minutes at 350. The cookies should be a nice gold color. Enjoy the Befanini with tea or milk! Yummy! Just like the ones I had in Italy.